Do you crave crispy chips as a snack? I do! And I know it's easy to turn to a bag of chips until you realize your skinny jeans are fitting too tight. It's hard to beat your cravings, so I suggest we swap them out. Swap that chip craving for crispy, crunchy jicama sticks. 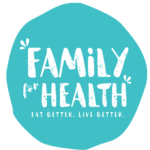 Not only will your jeans fit looser, but you and your family will be getting vitamins and minerals you can't get from chips. 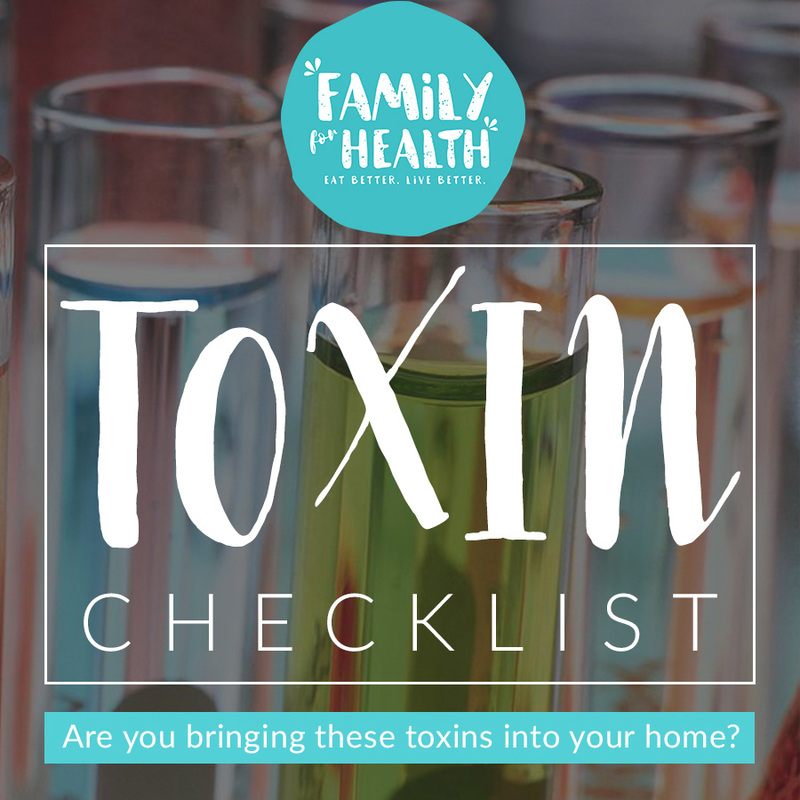 contains a beneficial type of prebiotic, and once it reaches the intestines, it helps probiotics (or “good bacteria” living within the GI tract) do their job best. 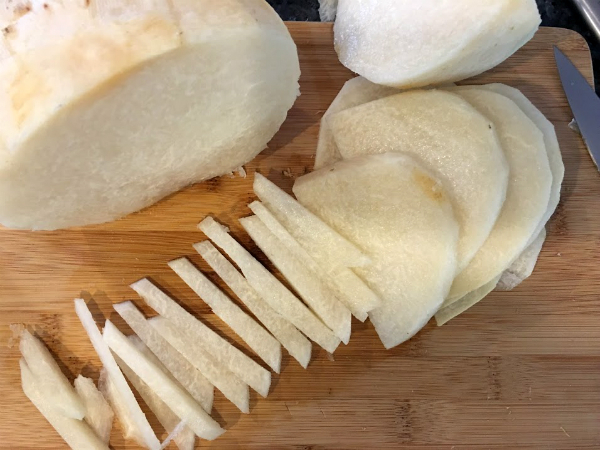 You can just peel, slice and eat jicama just like that. 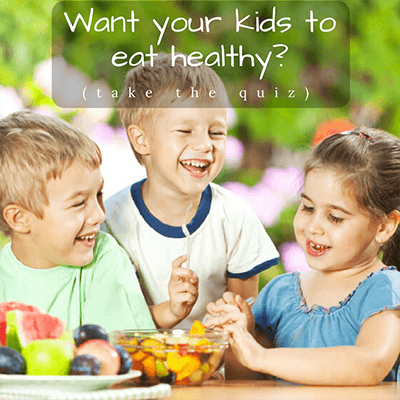 Or, you can follow a quick recipe (even your kids can do) to give it a flavored chip type of taste without the MSG and other chemical flavorings used on most chip bags. 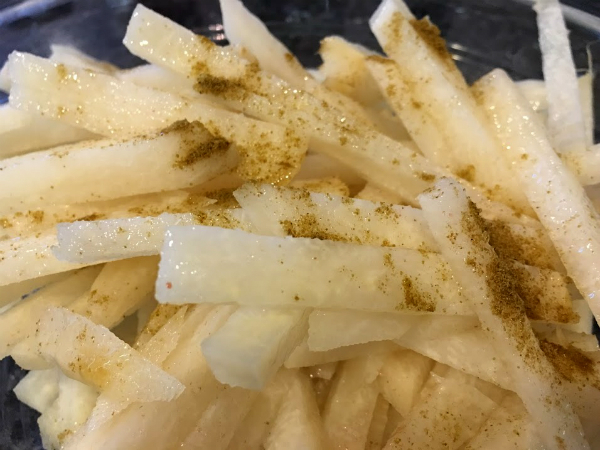 Chile and lime is an authentic Mexican flavoring for jicama. But, if you can't handle spicy and prefer a little sweeter chip, cumin is the way to go. Cilantro is a detoxing herb, especially for heavy metals like aluminum, lead and mercury. So, that's an ingredient you don't want to skip. You can even play with it and add more if you'd like. 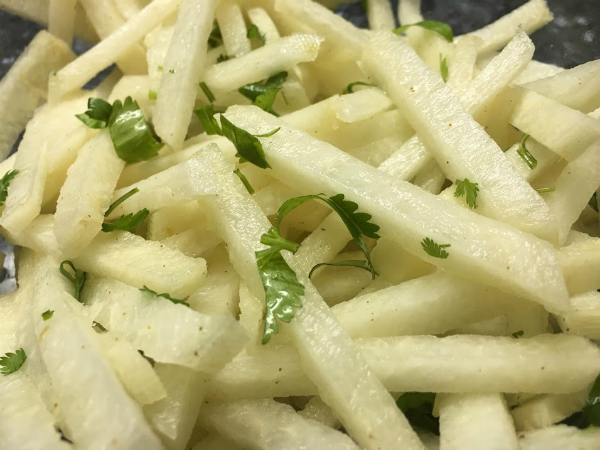 In a medium bowl, add jicama through cilantro and toss. 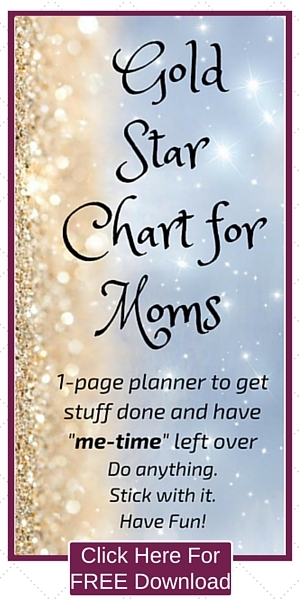 This recipe came from my Healthy Family Meal Plans software system. 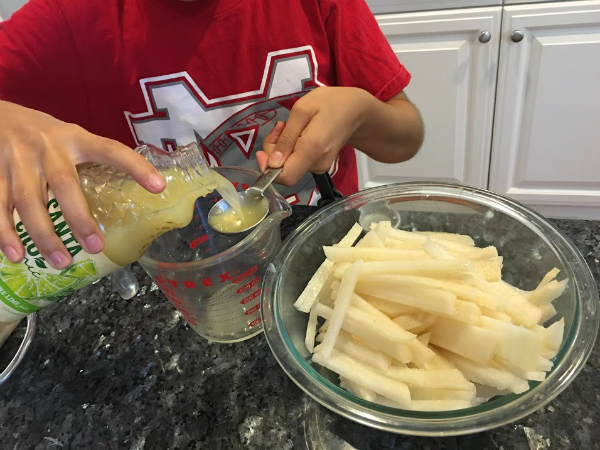 My kids found this jicama recipe to be sweet. One ate it like this and the other just chomped on the plain sticks while she helped me make these. 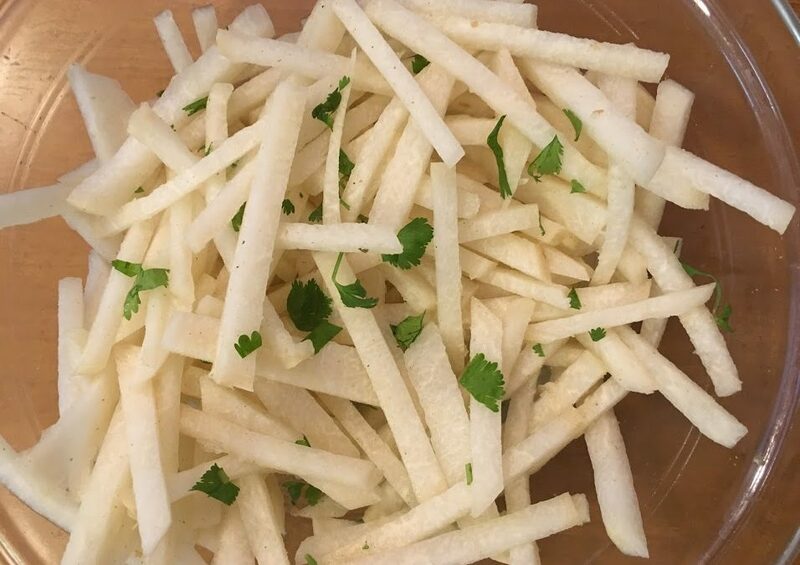 Will you try swapping chips for jicama sticks?